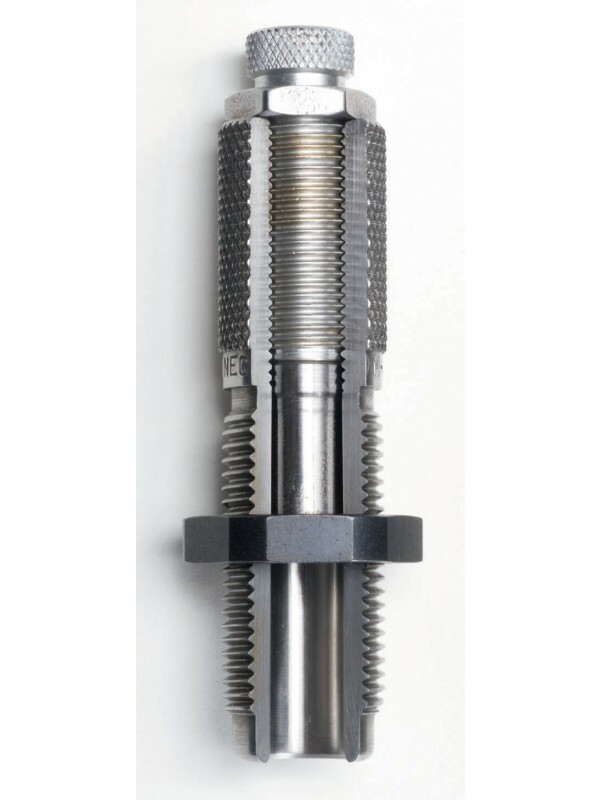 The Diamondback Bullet Orientation Sensor, DBOS for short, is the first sensor available from the Immortal Arms SnakeEyes Sensor System. 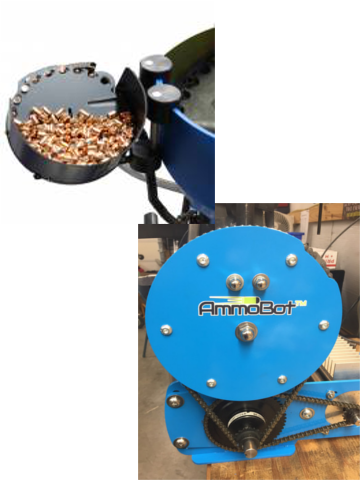 The DBOS is only available for the AmmoBot system. The DBOS checks each case that enters the station for a properly oriented bullet. If no bullet is detected, the DBOS halts the AmmoBot. The DBOS detects possible case feeder errors by watching the number of cases passing by it and if it detects more than eight empty passes in a row, it halts the machine. 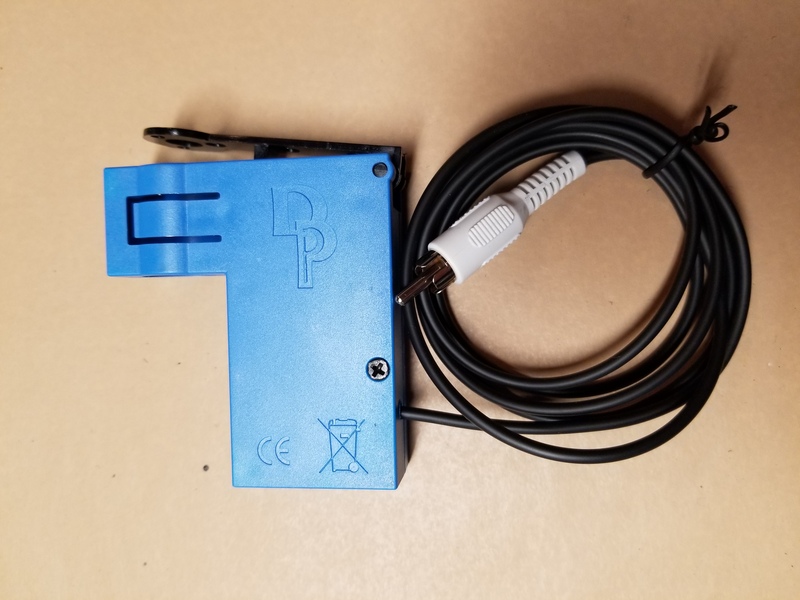 The DBOS is a plug and play sensor for the Rev2 and Rev 3, but will require you to update your software on Rev 2 to at least 3.9.3. The DBOS comes with a mount, interface unit, and sensor head. (The manual shows a calibration device that is no longer included or needed..see video. It will be updated soon to show this). 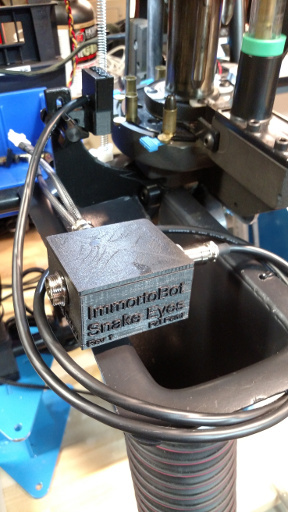 The mount works with all accessories and sensors available for the AmmoBot. If you have an ImmortoBot drop chute, a modification must be made to accommodate the mount. The interface unit allows the DBOS to connect directly to the AmmoBot. It supports the DBOS and the future Spitting Cobra sensor. It also provides the ability to daisy chain additional sensors and accessories like the AmmoBot Case Extractor. THIS IS JUST THE COMPLETE SYSTEM. 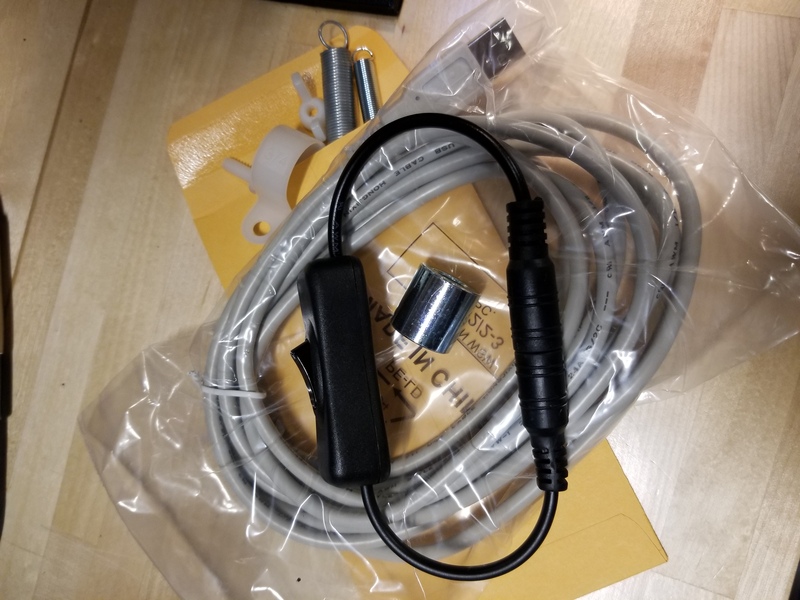 IF YOU ALREADY HAVE AN SCCD YOU WILL ONLY NEED TO ORDER THE SENSOR HEAD. The "magic" numbers are Case Range equal to or less than 25, Bullet Range is computed from the Case Range as Case Range +15. So, if the case range returns as 10, then a bullet range of equal to or less than 25 will indicate that a bullet is present. More than that indicates a missing bullet. 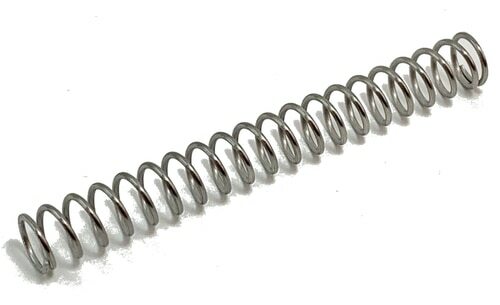 Type 06, please contact us for commercial pricing. Immortal Arms, SnakeEyes Sensor System, Diamondback Bullet Orientation Sensor, DBOS, Spitting Cobra are all trademarks of Immortal-Q LLC. The DBOS is amazing in it’s ability to coordinate with the ammobot to sense bullets that are base up or missing and immediately stop the Ammo Bot. The DBOS is very reliable in it’s function. It so improves the AmmoBot system that the sensor is a truely a must have for loading quality ammo. How did I live without the DBOS? It’s like a third set of eyes. I would not do without the DBOS!